ESL and FSL programs offered to students from around the world. Four stimulating weeks learning a second language while participating in a full range of sports and activities. Situated in the beautiful Eastern Townships of Quebec. BCS is dedicated to providing you with a dynamic and challenging summer camp experience. Bishop's was founded in 1836, becoming co-ed in 1972 through an amalgamation with King's Hall Compton. That long history is apparent in the traditions that remain at the school, and is apparent throughout the campus. We live in noisy world, and the site offers a nice bit of conceptual and geographic distance from it, and the environment is part of the draw for the summer programs. Participants arrive from around the world, creating a kind of United Nations for four weeks of the summer. The immersion in language is complete, both during classes, on campus, and during field trips. If there’s a better environment in which to learn a language, we’ve not found it. 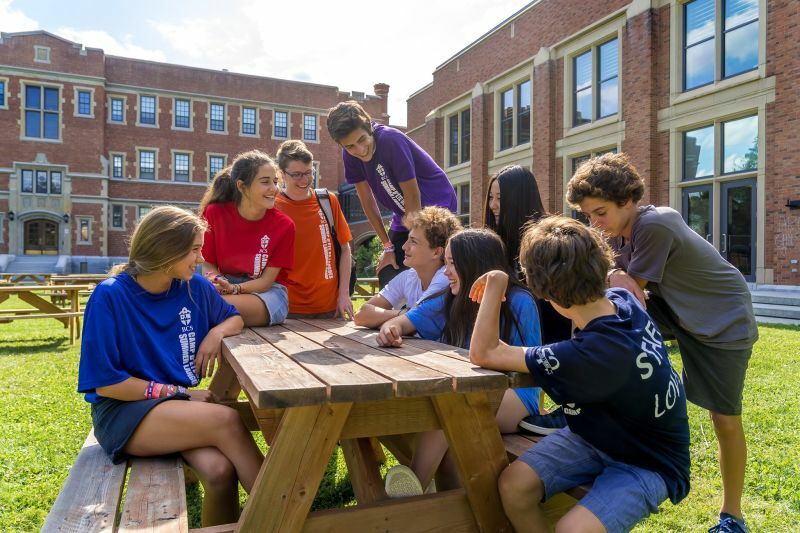 Interested in Bishop's College School Summer Language Camp?